“We are very pleased to welcome Jo Discombe in her role of Festival Dinner Chairman. With 33 years’ experience in the meat industry, she has an infectious enthusiasm and passion for the industry and will be a fantastic ambassador for BDCI. Many thanks go to Jo’s predecessor, Chris Aldersley for his all hard work making the recent Festival Dinner such a success both in terms of fundraising, but also a highly entertaining and fun evening.” Ted Hoefling, Treasurer BDCI. Jo started her career in the meat industry aged 14 as a Saturday girl in Baxters Butchers, Northampton. She quickly progressed from cleaning floors to learning butchery skills. Jo then joined the largest meat processor in Europe, ABP Ltd as a lab technician. Over the next 12 years Jo worked her way up the technical management ladder – working with retail customers, enjoying leading meat eating quality projects and challenging the industry norm and implementing one of one of the first major DNA testing programmes in Europe on beef. In 1999 Jo moved into a role as Technical Account Manager at ABP Ellesmere for their Sainsbury’s business, and her role involved developing packaging, product concepts and becoming the custodian of meat quality for the business. After 21 years in beef and a big desire to try something new, Jo moved to pork. Joining one of the UK’s largest processors, VION, as Technical and Innovation Director. 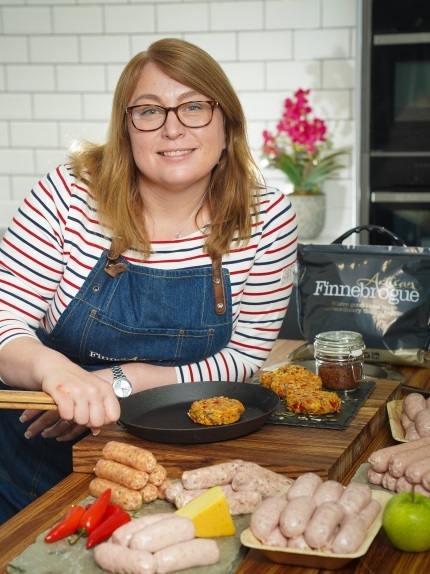 Then, in 2011, with a keen desire to really make a difference, Jo joined Finnebrogue Artisan in Belfast and has spent the last 7 years in innovation - creating, consumer testing and pushing the boundaries of what is possible in food production. In her free time Jo enjoys clay and game shooting, real ale, cars and motorbikes, and most of all travelling to new countries to experience the food culture.